Provide comfort for the family of Mrs. Annie Mae Taylor with a meaningful gesture of sympathy. Annie Mae Robinson Taylor was born February 12, 1935. She entered an everlasting peace on January 4, 2019 at Madison Manor surrounded by her family. She was the oldest child born to the late Aaron James, Sr. and Mary Ella Crutcher Robinson. One brother preceded her in death, Aaron James, Jr. Annie confessed hope in Christ at an early age. She lived most of her adult life in Dayton, Ohio where she met and married John Willie Taylor on June 25, 1972. She was a loyal and faithful member of Macedonia Missionary Baptist Church until she moved to Madison, AL. Later she joined Little Shiloh P.B. Church under the pastorate of Pastor Reginald Johnson, where she remained a member until her death. Annie was a faithful servant for the Lord. She served as a Mother of the church. Annie Taylor was truly a woman of God. Those who came in contact with her knew the presence of the Lord lived completely within her. She would always quote her favorite bible scripture, Psalms 23. Her life was such a testament that her humbleness, kindness and accepting spirit touched the lives of many. Even through her failing health she remained dedicated and devoted to her children, instilling the importance of the Lord to her grandchildren whom she loved so dearly. No matter what life threw at her she remained steadfast in her faith, family, and friends. Annie Taylor; a mother, grandmother, sister, aunt, and friend to many, left behind greatness; a legacy of “truth” that will forever live in our hearts and will never be forgotten! Her memories will forever be cherished by: her loving and devoted sons, Maurice (Lynda) Robinson, Madison, AL, Eddie Eugene (Angel) McDonald, Atlanta, GA, and Oria Lee McDonald, Dayton, OH; two sisters, Bertha Walker and Betty Jean Fletcher both of Dayton, OH; five brothers, David (Annie) Robinson, Huntsville, AL, William (Winnie) Robinson, Athens, AL, Ezell Robinson, Huntsville, AL, Donell Robinson, Mooresville, AL, and Leo (Donna) Robinson, Huntsville, AL; one sister-in-law, Pearline Robinson; eight beautiful grandchildren, Akiva Collins, Eddie Jr, Chris McDonald, Tamela McDonald, Tracey McDonald, O’shea Matlock, Monique Robinson, and Krystle Robinson; fourteen lovely great-grandchildren; and a host of nieces, nephews, cousins, and friends. 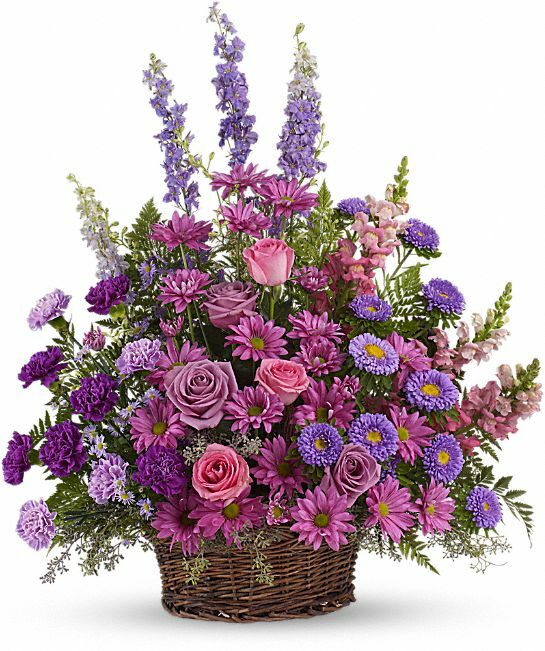 To send flowers in memory of Mrs. Annie Mae Taylor, please visit our Heartfelt Sympathies Store. The body will lie in state at the church one hour prior to service. We encourage you to share your most beloved memories of Mrs. Annie Mae here, so that the family and other loved ones can always see it. You can upload cherished photographs, or share your favorite stories, and can even comment on those shared by others. Dale & Erin Black, Renee Taylor Maclin, and others have sent flowers to the family of Mrs. Annie Mae Taylor. Annie was a loving and kind woman. Her spirit was very sweet. She will surely be miss. Dale & Erin Black purchased the Gracious Lavender Basket for the family of Mrs. Annie Mae Taylor. 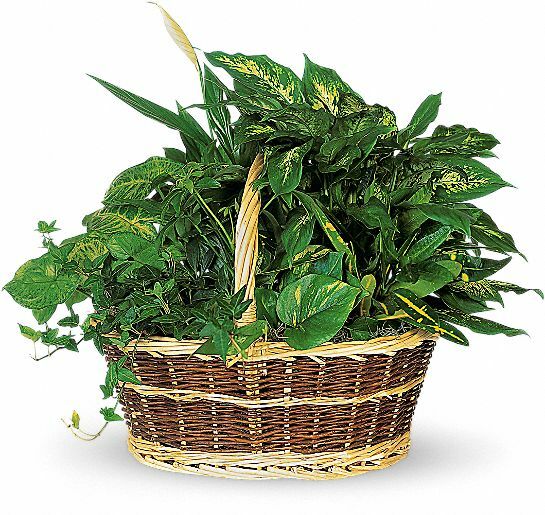 Renee Taylor Maclin purchased the Large Basket Garden for the family of Mrs. Annie Mae Taylor.